LA Market Week started yesterday and my team and I covered a lot of territory. After a long day of walking, talking and scouting, we ended up at Bottega Louie restaurant located in the heart of the Fashion District. 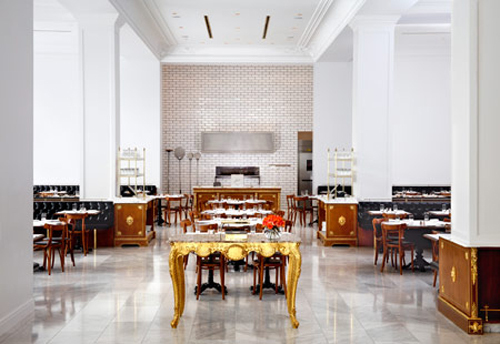 After seeing so many designs and styles, our brains were on overload, so Bottega Louie’s clean, stark atmosphere was the perfect place to process ideas and brainstorm. I love the white walls; reminiscent of a blank canvas where my imagination painted its own picture. The food was great and the vibe was savvy.